Yes, this is a band page, but we can also appreciate a great moment in a college football game provided by the guys that we are there to support. 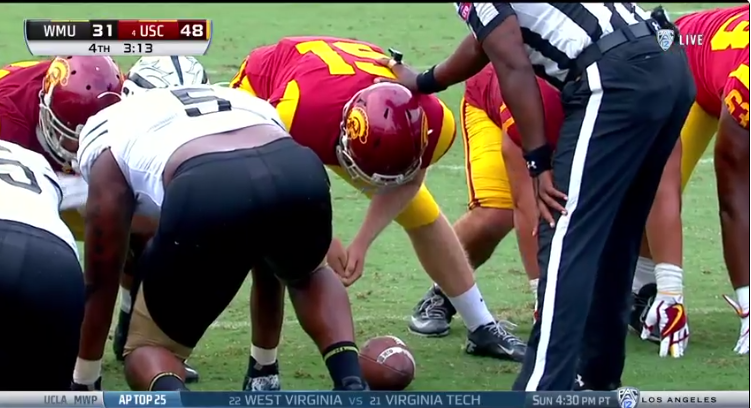 At the USC game yesterday their long snapper Jake Olson made his debut and successfully snapped an extra point at the end of the game. Olson has been blind since he was 12 years old. The moment has gone viral and will give you all the feels. We can appreciate the effort and this moment as many members in the band world are blind and have found ways to be successful on the field and march along side us.